Soaring two story living room ceilings, garage parking, tax abatement, extra large roof deck with skyline views, 2nd deck off of the kitchen area, and luxurious finishes throughout!! The perfect location in the heart of Northern Liberties near the park and several top notch restaurants and cafe’s. 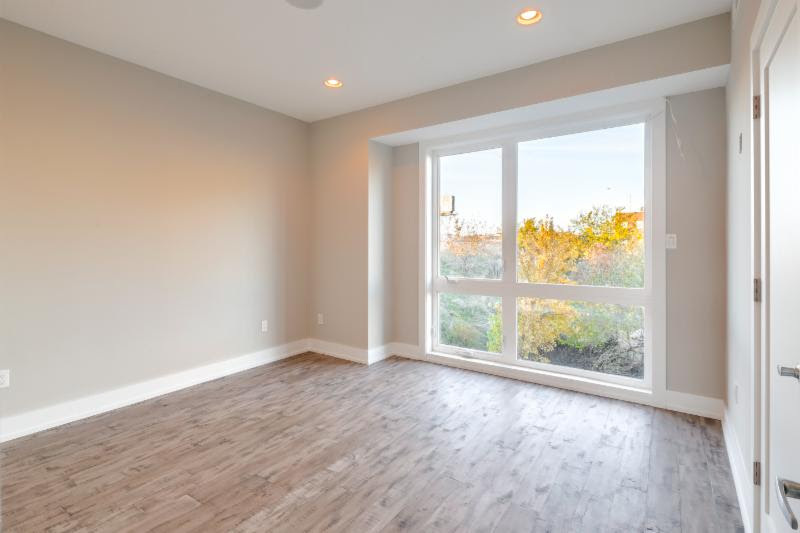 This 4-story new home has enormous windows that drench the home in natural light, Hardwood floors throughout, designer kitchen with quartz counters, designer fixtures, luxury stainless steel appliances and tons of high end cabinets. Glamorous tile bathrooms (3.5) with beautiful finishes. The master bedroom suite takes up an entire floor and has walk in closets, large sleeping area and large private bath with glass shower doors, double wall hung vanity and sinks and amazing tile work. bedrooms #2 and #3 are spacious and have great closets. Amazing views, full size washer and dryer, recessed lights throughout, fantastic ceiling heights. Too much to mention in this amazing home, come see it for yourself. Extra large, extra bright home! Private trash pickup $18/month & water bill $58/month. The most sought after development in Northern Liberties, built by one of the top builders in the city. This thoughtfully designed community will provide everything you are looking for. Liberty Square offers plenty including a landscaped rain garden inside the development, garage parking, tax abatement and every luxury amenity you can imagine. You will also be in the heart of the neighborhood offering quick access to some of the best restaurants in the city. Designed by renowned architect Atrium Design Group, these town homes feature +/- 3000 square feet of innovatively designed space with three to four bedrooms, two to three full baths and one-half bath, one and two-car garage parking, finished lower level, city-view roof decks and ten-year tax abatement. Copious outdoor space includes a second floor deck, fourth floor/master suite balcony and expansive roof deck offering scenic views of Philadelphia. 3 outdoor spaces!! The master bedroom suite sprawls over an entire floor and has bathroom that will make you feel as though are on vacation- permanently. Check Out The Website! Liberty Square homes were designed with the homeowner in mind and will impress you from top to bottom. Schedule your private showing at the Model Home located at 608 N 5th Street. “Phase 1” is sold out, but don’t miss your opportunity to secure your home in Phase 2! Still time to customize and pick all of your finishes! easy to show, short notice showings are ok! 2.5 baths is standard. The 3rd full bath is an upgrade. Just $435,000!! Picturesque block, 2 bed/2.5 bath, 3 outdoor spaces, roof deck, finished basement and luxury finishes throughout. The master suite occupies an entire level and has a private tiled bath with designer fixtures, walk in shower with glass doors and tiled floors and walls. The roof deck has an amazing city view!! Truly a must see!! The kitchen has granite counters, stainless steel appliances and lots of wood cabinets. The master suite has a huge tile bath with walk-in shower with glass doors and designer fixtures. 3 possible living room/den areas and more, all which contribute to making this home truly unique. Park in your very own garage!!! Great home at a great price. Walk to all of the NoLibs attractions! Sophisticated town homes in the heart of Northern Liberties, highlighted by 2-car PARKING, 3 outdoor spaces, wide plank hardwood floors, 2900+ square feet of light filled living space and APPROVED TAX ABATEMENTS! Thoughtfully designed floorplan with 4 bedrooms, 3.5 baths, full Center City and bridge views from the ROOF DECK and dramatic 20ft tall ceiling heights in the living room. The custom kitchen features luxury stainless steel appliances, induction cook top, wine cooler, tile backsplash, quartz counters and plenty of wood cabinetry. Beautiful bathroom finishes include floating vanities, glass shower doors and meticulous tilework. Other amenities include front yard with stone floors and privacy fencing, finished basement, iron railings, walk-in closets with custom shelving and tons of huge windows. 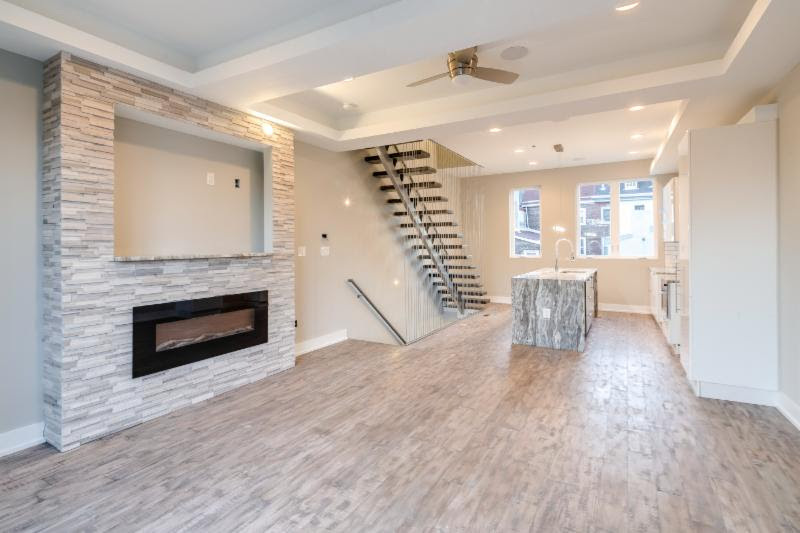 118 Olive Street is an amazing Northern Liberties new construction home with garage parking, roof deck, approved 10 year tax abatement and super cool luxury finishes throughout. Wide open living area is overlooked by a designer kitchen with granite countertops, double granite waterfall on each side of the island, stainless steel appliances and tiled backsplash. Phenomenal natural light pours in through the oversized windows. 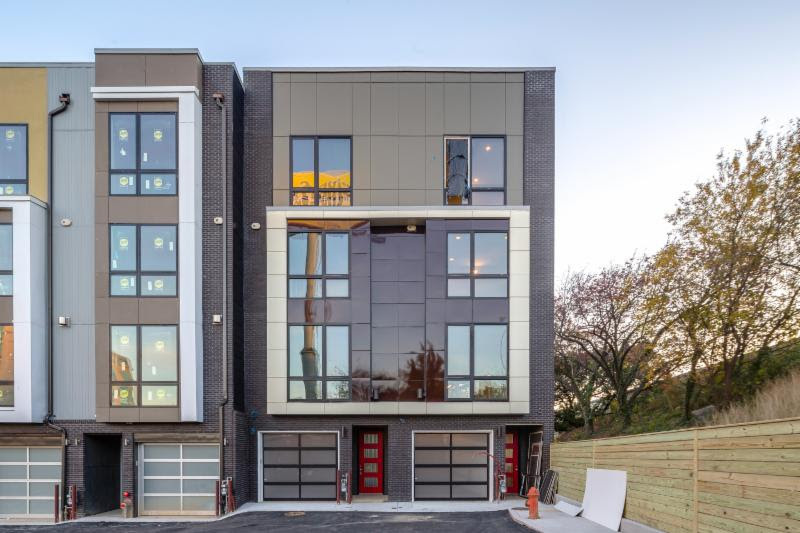 These beautiful homes have private rear patios, full roof decks, skyline and river views, metal railing systems, polished concrete floors in lower level, generous storage closets, hardwired speakers, stunning facades, perfect brickwork and towering windows! Another Amazing Northern Liberties Home SOLD! September 6, 2016 September 6, 2016 Jim Onesti, Realtor, Development Expert Homes For Sale, Whats Happening in Northern Liberties	mccannteam.com, New construction homes in Northern liberties, Northern Liberties Life, Northern Liberties Real Estate, Northern Liberties Real Estate team, real estate for sale in Northern Liberties. APPROVED TAX ABATEMENT was listed and sold FAST! The Stables Development homes are Designed & built to be energy-efficient and will reduce heating/cooling/energy requirements with, triple-pane windows/doors, and an airtight building envelope. Thoughtfully designed floor plan w/4 bedrooms 3.5 baths, full Center City and bridge views from the ROOF DECK, side windows, and dramatic 20′ tall ceiling heights in the living room. The Custom kitchen has luxury stainless steel appliances, induction cook top, wine cooler, tiled backsplash, quartz counters and plenty of wood cabinetry. 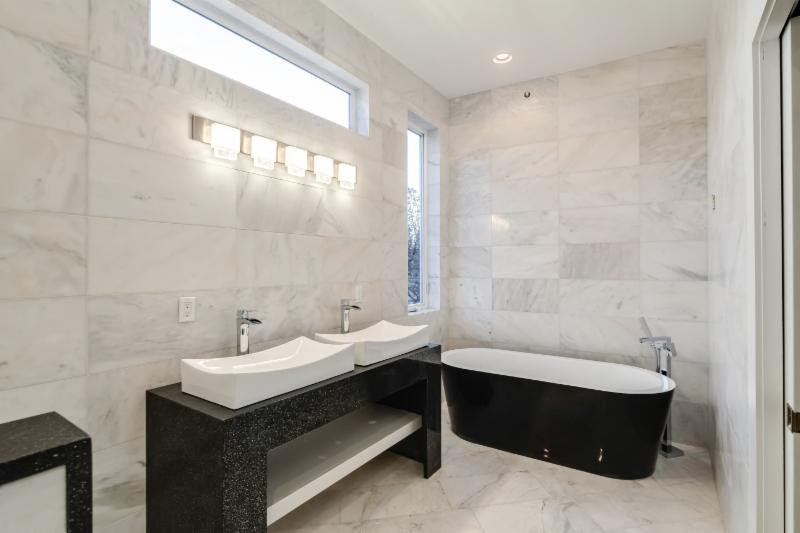 Beautiful bathroom finishes include floating vanities, glass shower doors and meticulous tile work. Wide plank hardwood floors throughout the home. Fine detail & custom craftsmanship throughout the property. Other amenities include a front yard with stone floors and privacy fencing, finished basement, iron railings, walk in closets with custom shelving, & tons of front, rear and SIDE WIDOWS. Great location in Northern Libs. 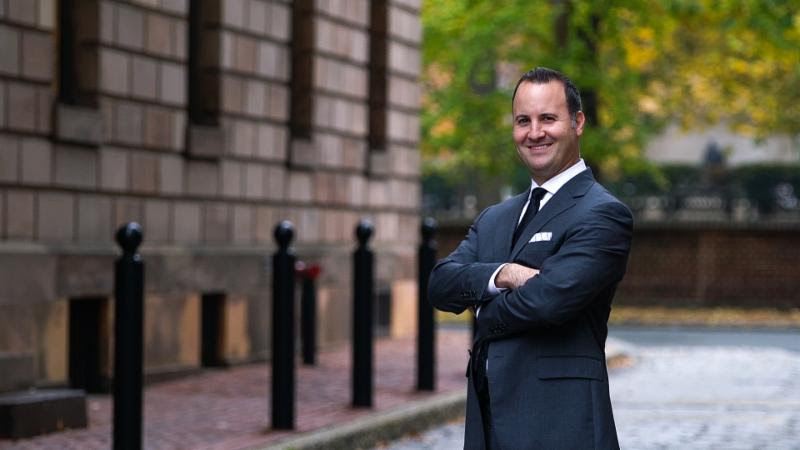 Close to all the best spots in Northern Liberties including the Super Fresh, dozens of eateries, Liberties Walk, the Piazza, Liberty Lands Park, Orianna Hill Dog Park, the Market-Frankford line, One of the brightest and sunniest homes you will ever find. Approx 8.5 years remaining on tax abatement.